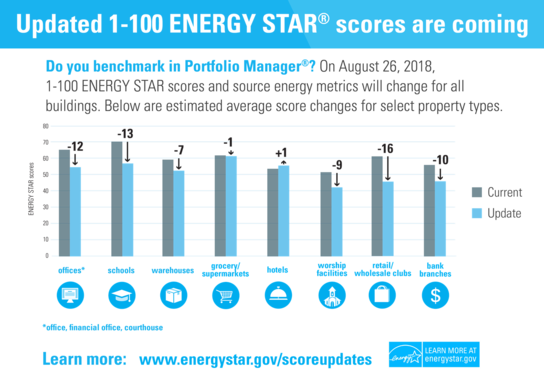 Minneapolis Energy News: ENERGY STAR Scores to change Aug. 26th, lighting rebates, and more! The Environmental Protection Agency is updating building performance metrics in Portfolio Manager based on the most recent Commercial Buildings Energy Consumption Survey data. For most types of commercial buildings, this will result in a decrease in ENERGY STAR score, meaning that the national average building energy performance has improved. To learn more, visit ENERGY STAR Portfolio Manager's website. Ready for ENERGY STAR certification? Rebates can lower the cost. To achieve ENERGY STAR certification for your building, you will need to have your building's performance verified by a registered professional engineer or architect. CenterPoint Energy will reimburse customers for the cost of the ENERGY STAR verification up to a maximum of $1,500 per building. Customer must provide a copy of the verified application and documentation of the verification costs. View CenterPoint Energy's website for more details. Lighting rebates will decrease Aug. 31, Secure yours today! 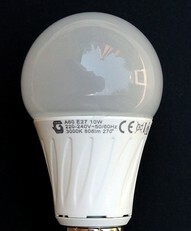 Fluorescent lighting rebates will be discontinued. To still receive maximum rebate value on lighting retrofit projects, invoices must be completed before August 31st. For more information on Xcel Energy's new lighting rebate offers, read this guide. 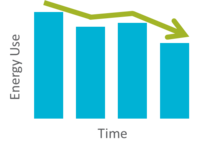 A study conducted by Seventhwave found ample energy savings opportunities in small embedded data centers. According to the study, almost one-third of the energy used in small embedded data centers could be saved through IT measures. To learn more about the opportunities for your data center, check out the summary and final report. Swim in the savings by making your indoor pool efficient. The Center for Energy and Environment's research project on indoor pool efficiency found several insights for hotels, fitness centers, schools, and other indoor pool owners to save money on energy. To learn more about how you could start saving on your pool's operating costs, read the project's research page. Worship facilities inspired to save energy after workshop. 2017 benchmarking results to be released early September. This September marks the sixth year of benchmarking in the City of Minneapolis. The City will release building efficiency data for the 2017 calendar year for all public commercial buildings greater than 25,000 sq.ft. and private commercial buildings 50,000 sq.ft. and greater. Visit the City of Minneapolis' Benchmarking Results page to view historic building efficiency data and learn how results will be disclosed. For reasonable accommodations or alternative formats please contact katie.jones@minneapolismn.gov. People who are deaf or hard of hearing can use a relay service to call 311 agents at 612-673-3000. TTY users can call 612-673-2157 or 612-673-2626. Para asistencia 612-673-2700 • Rau kev pab 612-673-2800 • Hadii aad Caawimaad u baahantahay 612-673-3500.